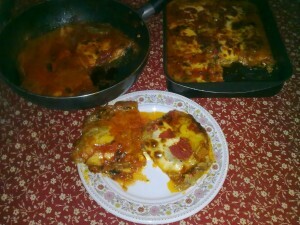 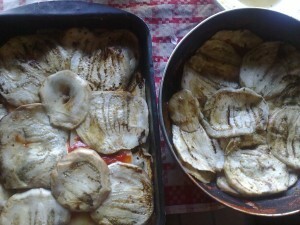 This is one of my favorite dish: prepared for me by my mama since I was a kid and never I get enough!!! 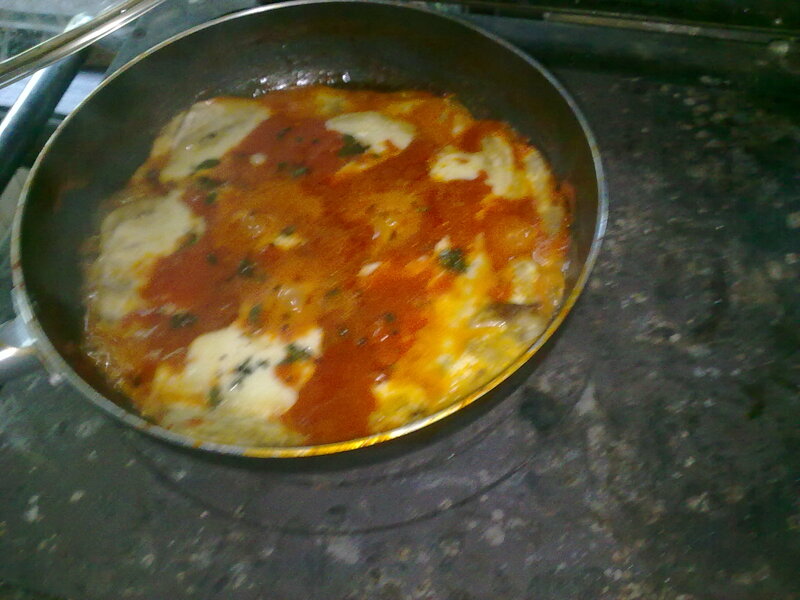 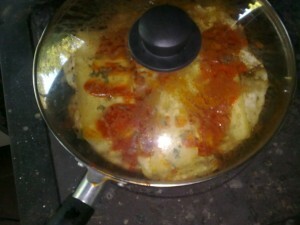 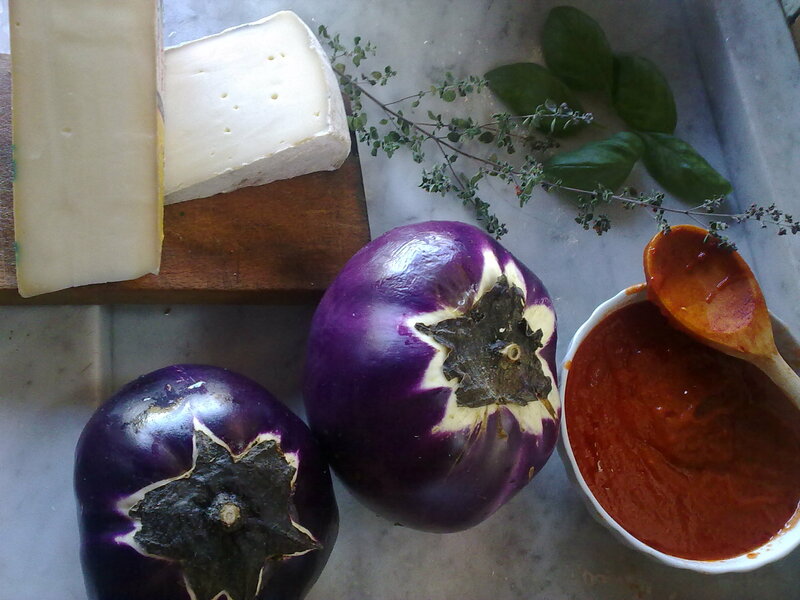 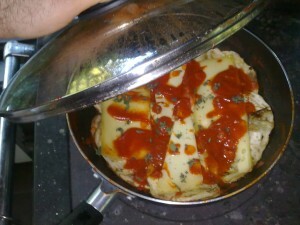 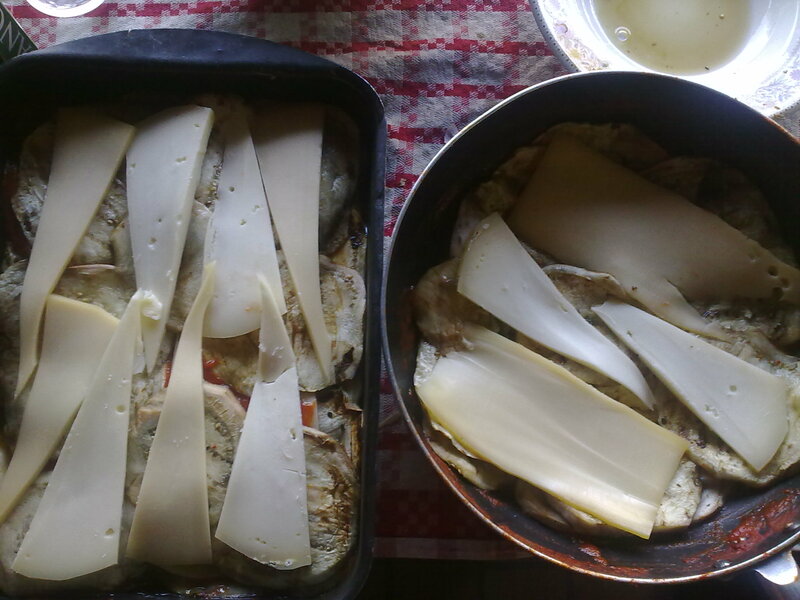 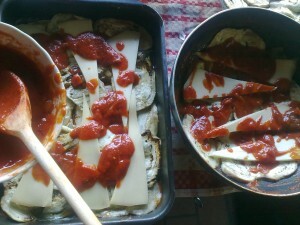 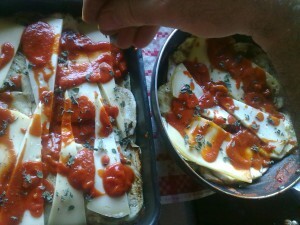 Pay attention: I will teach you two ways to cook the Egg-Plant Parmigiana: in the oven or in to a fry-pan with lid, do not make confusion: your choice for the more convenient method, both the recipes are delicious! 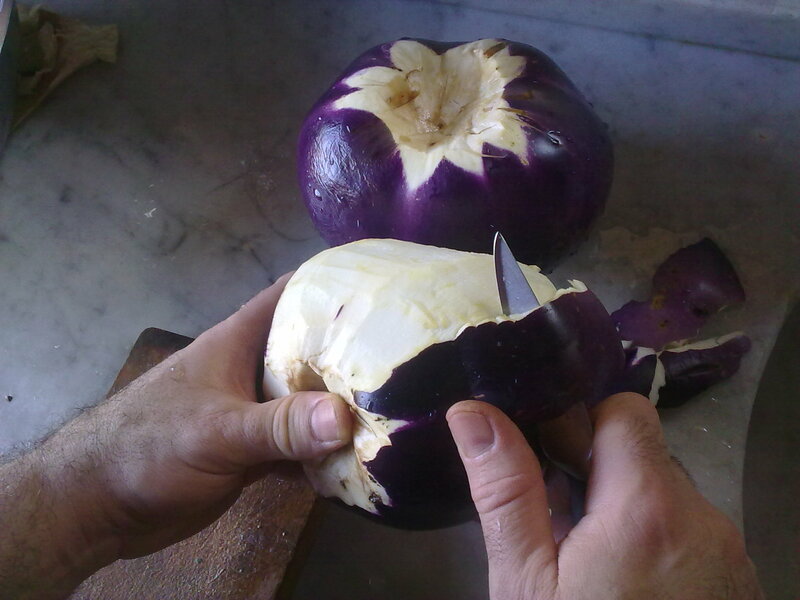 Kindly check also the section: “Preparations”, which is well detailed for the cleaning and preparation of Egg-Plant before to proceed to this recipe. and so on until you use al the slices. 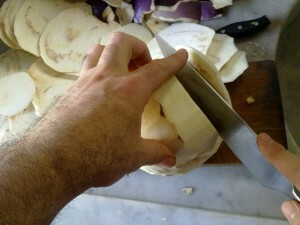 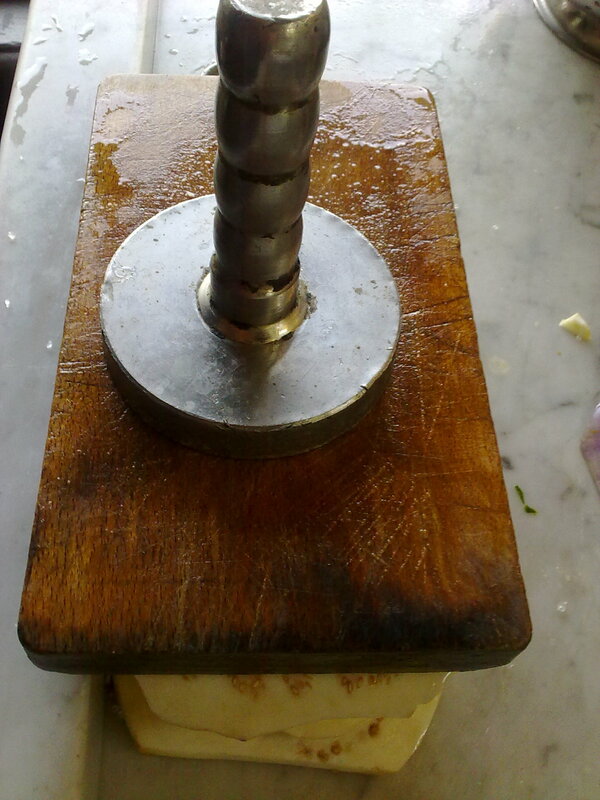 set a weight on the top and leave to get the water off the Egg-Plants, usually half an hour is enough. 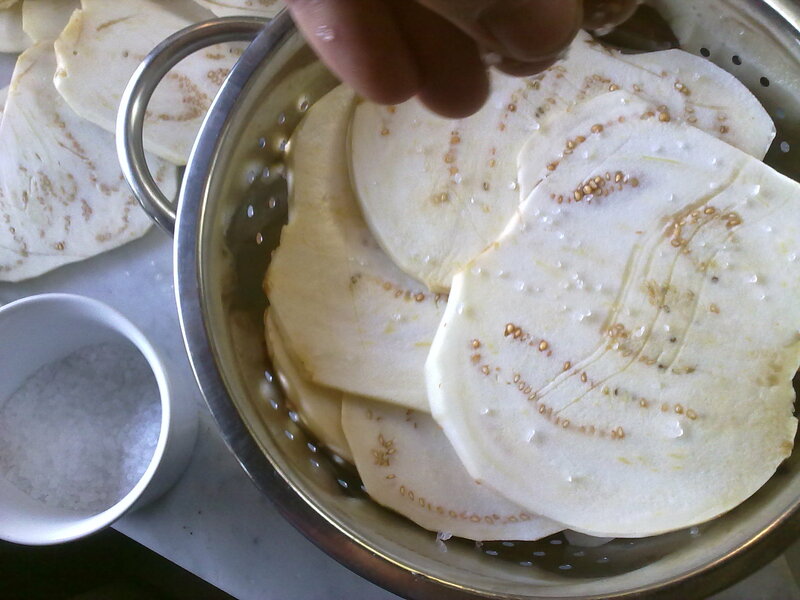 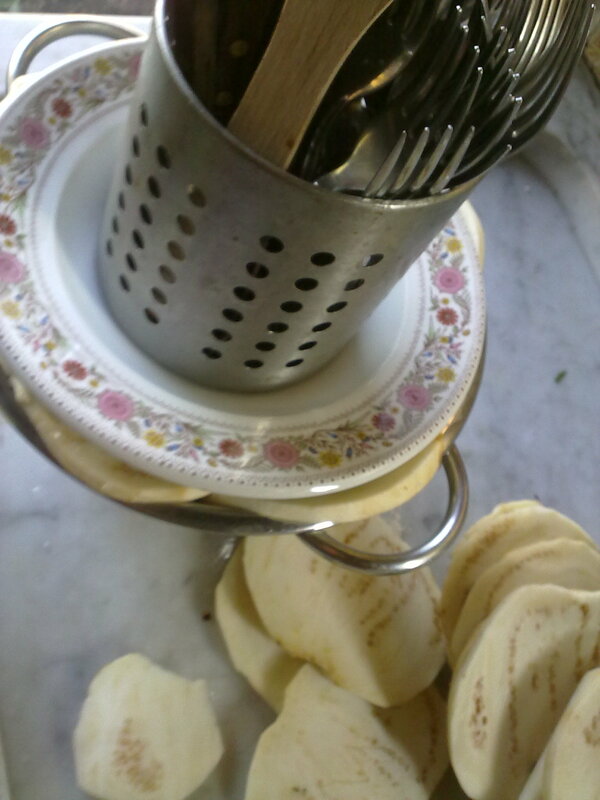 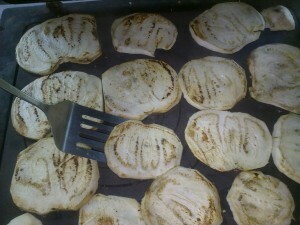 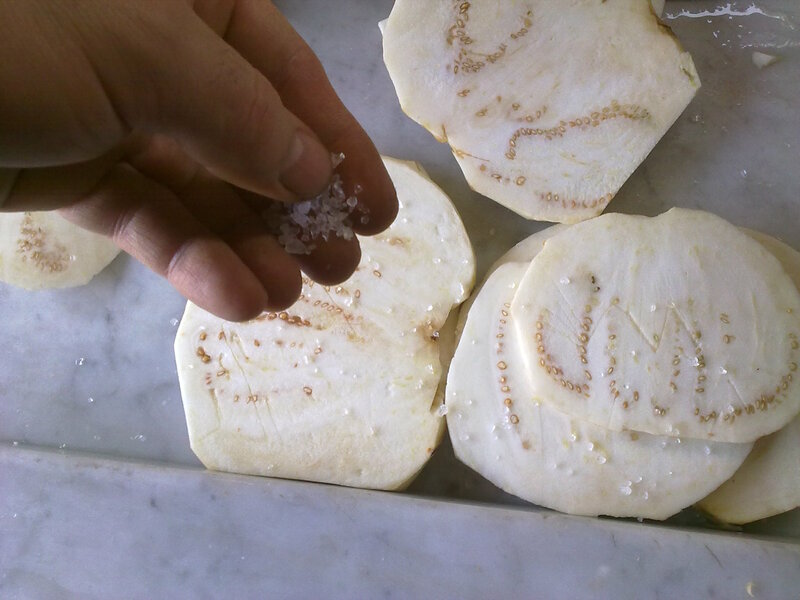 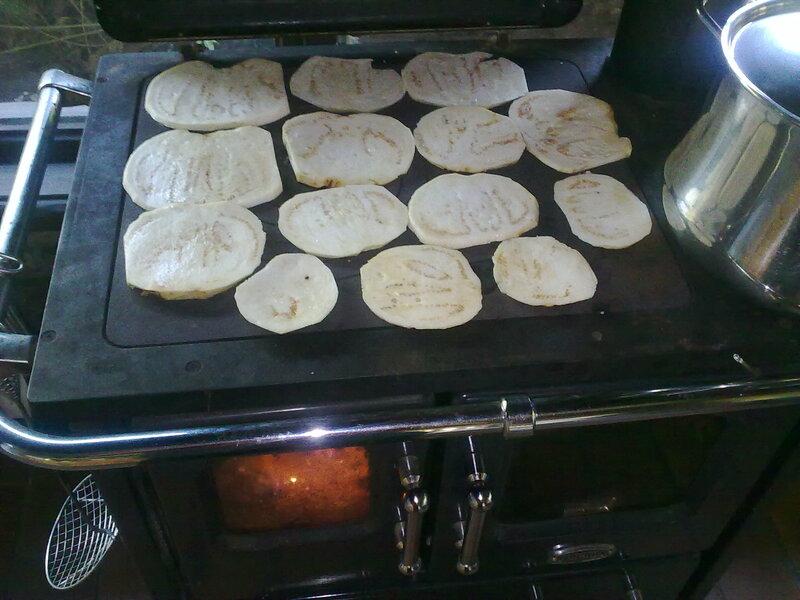 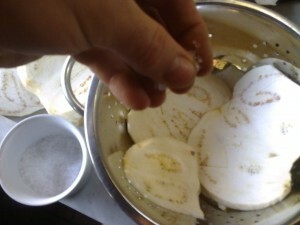 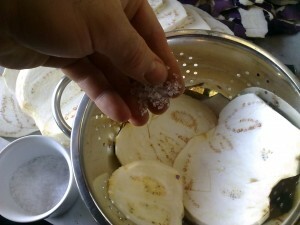 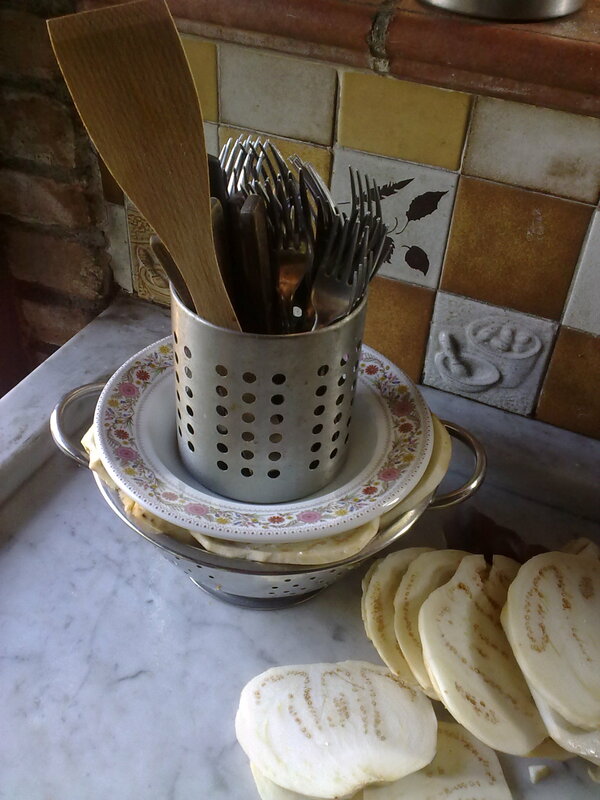 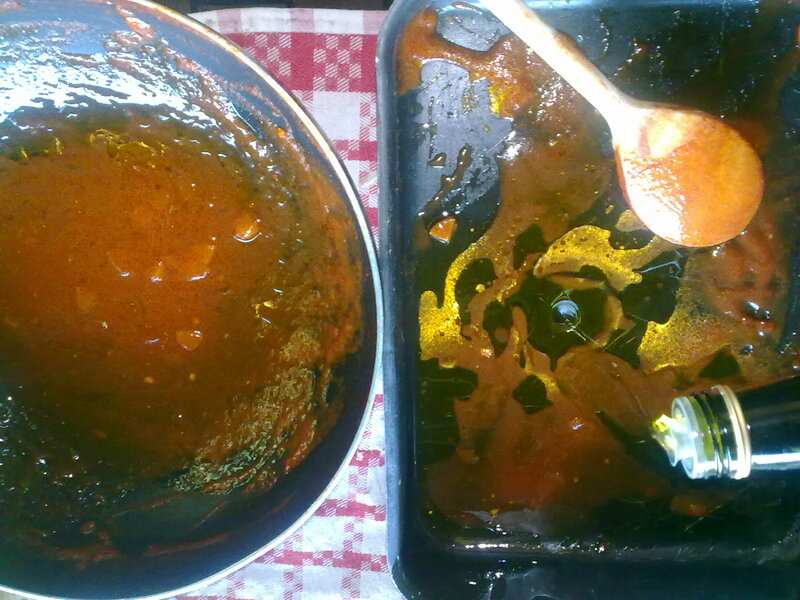 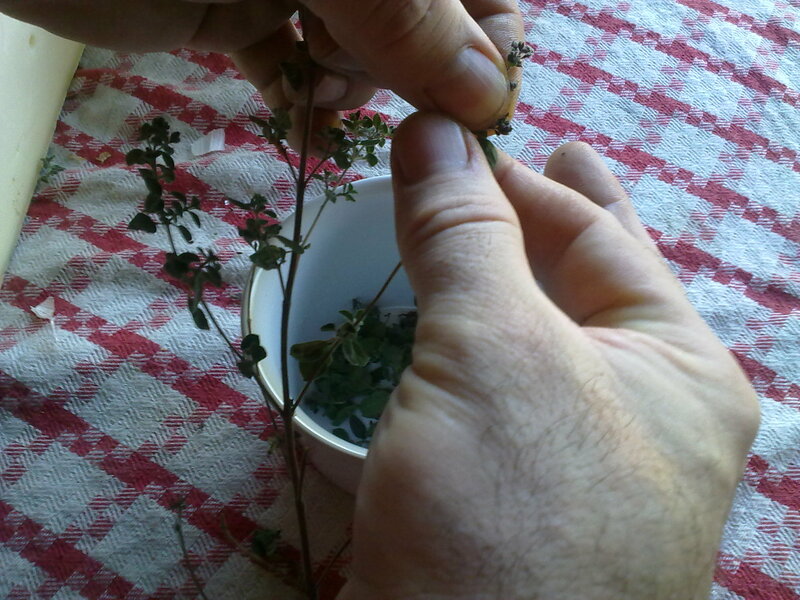 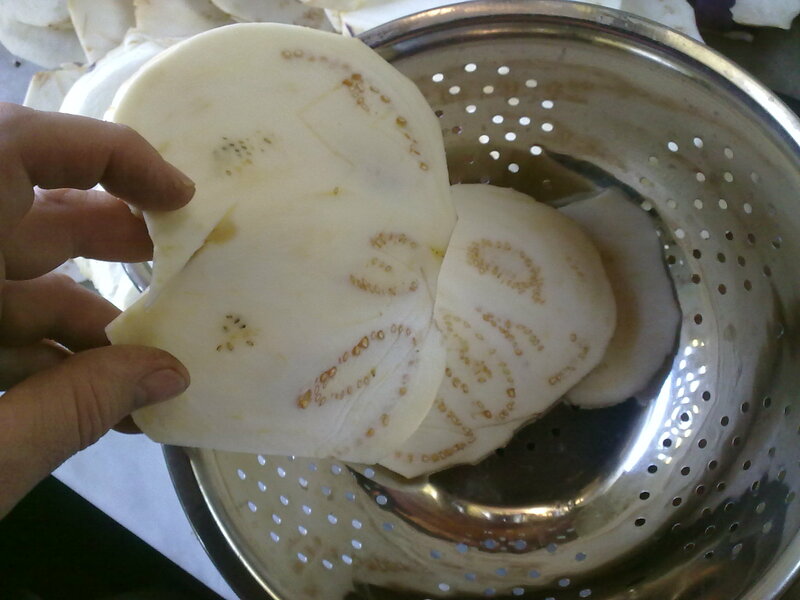 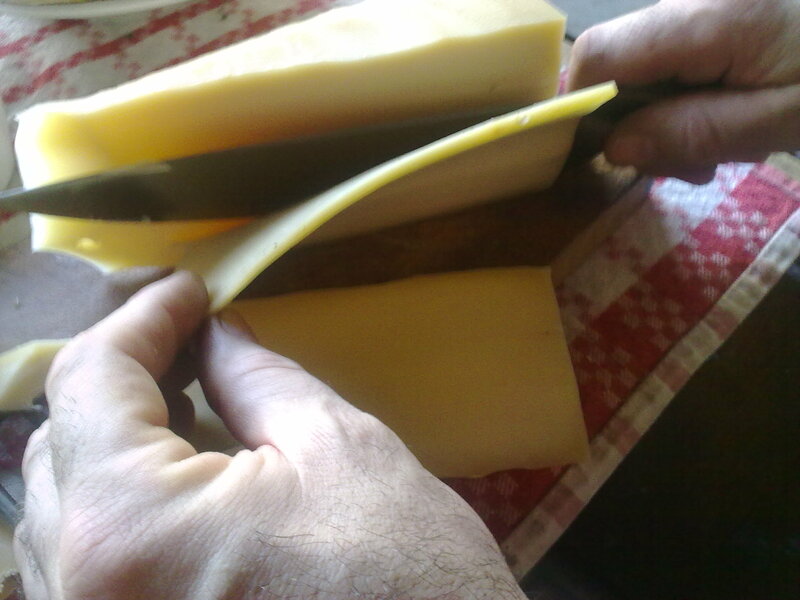 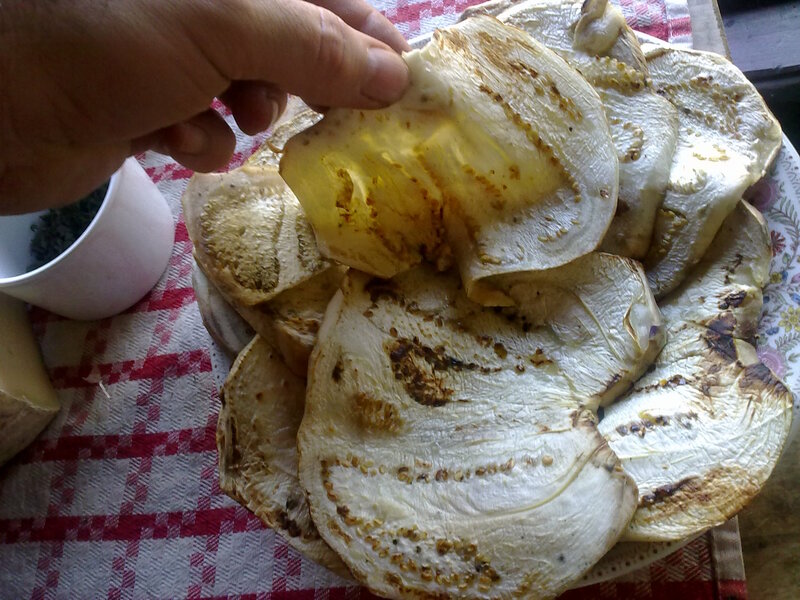 making them soft and dry, you can do the same using a fry-pan: in this case I suggest to put oven-paper on the bottom so the slices do not stick on the fry-pan. 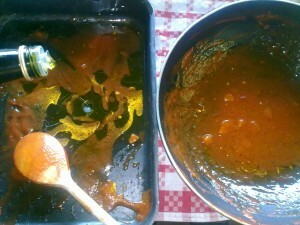 put two-three spoons of Tomato Sauce in the bottom of an oven-pan (or in the Fry-pan) adding two spoons of Extra Virgin Olive Oil, spread well all around! again go with the Cheese…. 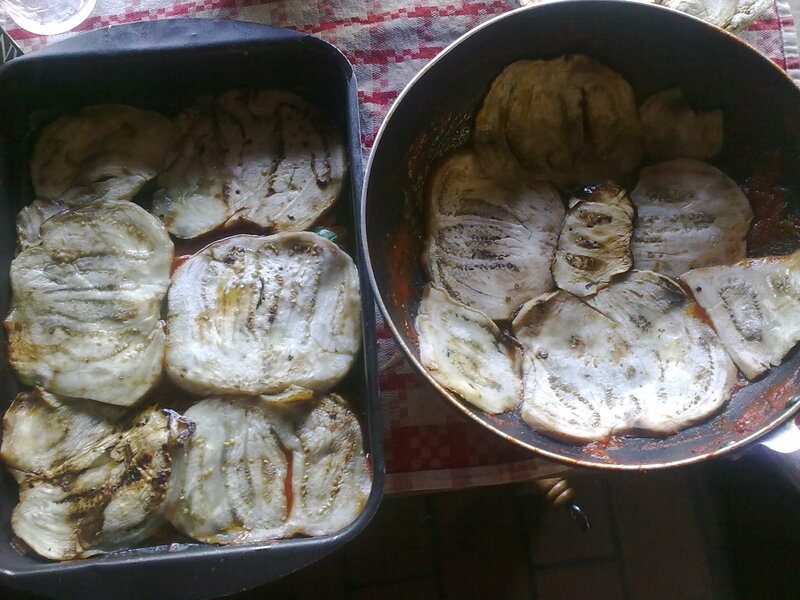 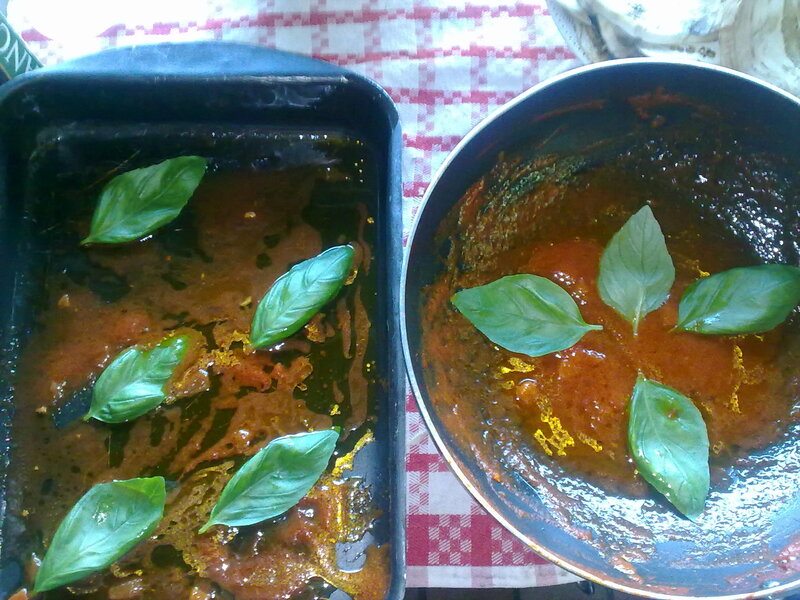 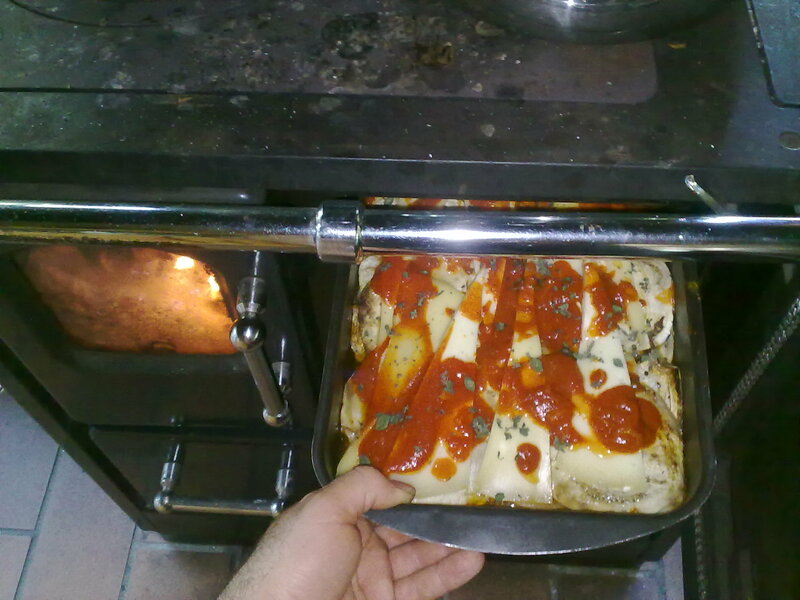 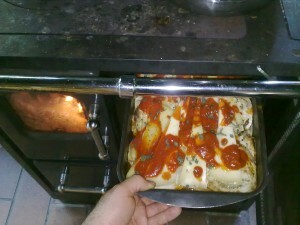 in the fry-pan you will see water accumulating: if it looks too much (starting to raise until the top of your pie) you just remove the lid and let your Egg-Plant Parmigiana cook: it should dry the excess of water. Always pay attention to the smell: as you notice an irresistible smell of good food you must check and your preparation is ready! Wait please! 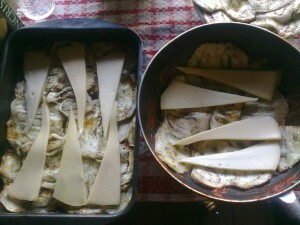 let cool down for one hour at least: this will give to your pie the needed consistency to be cut in proper way, you can keep in the fridge for the day after: in this case warm a bit in the oven before to eat.